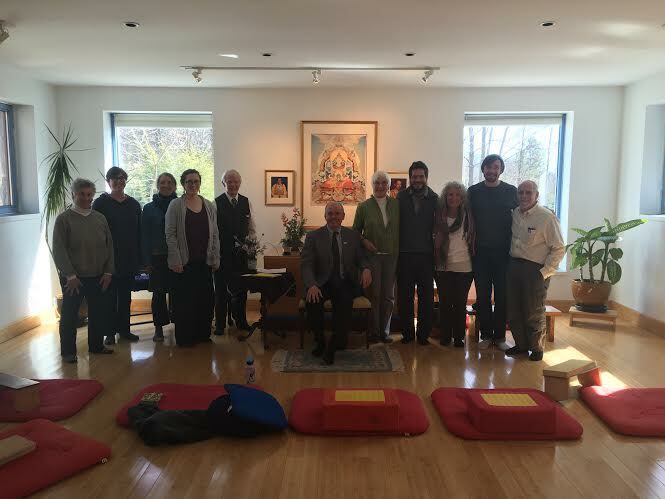 Everyone is welcome to join us from 10:00-11:00am on Sunday mornings for meditation practice. Individual meditation instruction is available upon request. From 11:00-12:00 we have a study and discussion circle in the form of group reading from a dharma book. You are welcome to come for any week, and need not have been there for previous weeks’ readings. Books are provided. You are welcome to come for just the meditation practice, or stay for the whole time. Public Meditation is always free and open all. Starting in June 2018, we will offer a Tuesday evening public meditation from 6:30-8:30pm. We will begin with sitting meditation practice at 6:30pm and then have a relevant discussion. You are welcome to come for just the meditation practice, or stay for the whole time. Public Meditation is always free and open all.